Asian Plastic Surgery Testimonials | Reviews for Dr. Philip Young & Aesthetic Facial Plastic Surgery. 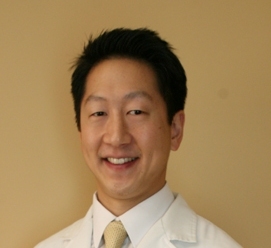 Click here to read more: Bellevue Dr Philip Young Testimonials | Reviews Asian Plastic Surgery. Asian Plastic | Cosmetic Surgery is the art of science of Plastic Surgery that concentrates on the Asian Population. Perhaps the areas most unique to this category of plastic surgery is the double eyelid surgery and asian rhinoplasty. The double eyelid surgery is unique in that it requires more complex approaches than traditional straight forward blepharoplasty | eyelift that is done for the aging eye. Essentially, the double eyelid surgery entails attaching the skin and the components of the skin, to the levator muscle or the muscle that elevated the eyelid. We have a nice diagram and discussion of this procedure here: Asian Double Eyelid Crease Formation Surgery. You can read more about our Asian Plastic Surgery by following this link. 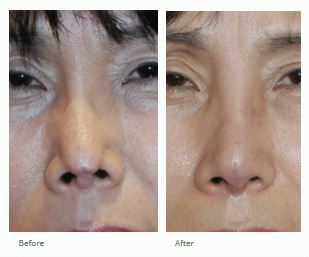 Asian Eyelid Surgery – The Orbicularis Fixation Technique by Dr. Philip Young of Bellevue | Seattle: This is important to bring up for many reasons. This technique is quite different from the way 90% of surgeons do this procedure. We use this technique to create the crease and essentially permanent sutures are left in there to help keep your crease much longer lasting. Also the fold works more in a natural way. The technique is called the Orbicularis Fixation Technique for Asian Double Eyelids. The below anatomy will show you what we are talking about. Most surgeons perform the dermal fixation technique where the crease forming sutures are used to grasp the upper eyelid skin incisional edge then the levator muscle and then the lower eyelid incisional edge. These sutures are then taken out 6-7 days later. The crease is then dependent on scar formation to keep the crease. Sometimes this can be good enough, sometimes this can lead to asymmetric results and relaxation and multiple folds. The orbicularis fixation technique is based on the fact that the orbicularis muscle is tightly adherent to the skin of the eyelids. 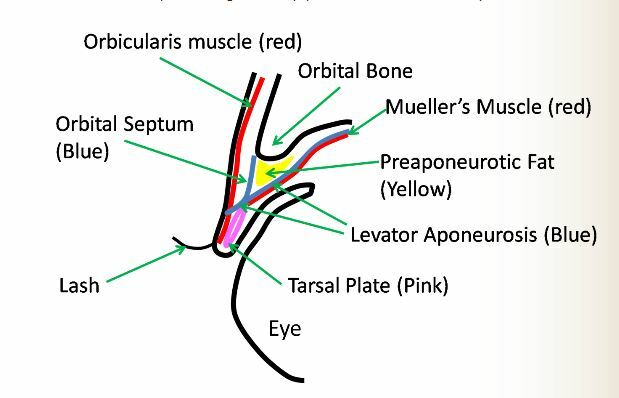 So attachment of this muscle to the levator is just like attaching the skin to the levator. Also with this attachment, the fold acts more natural. Meaning there is not a scar crease for the fold but it is created by the muscle attaching to where the fold should be. You can click here to learn more about Asian Eyelid Surgery. Rhinoplasty evaluating before and after pictures by Dr. Philip Young Bellevue: Before and after pictures are really important for you to see what you can expect from your rhinoplasty surgeon. A picture is worth a thousand words as they say. One thing you should really see is the before and afters from the profile view and even more importantly is seeing the results from the frontal view. The profile view is mainly a 2 dimensional view. It is much easier to get a good result on the profile view. This is why many surgeons choose to show only the profile view. If you see your surgeon only showing the profile view it would be prudent for you to see more photos from the frontal view, the view you see when you look directly at a person. Which is the view that matters the most. If you only see the profile view on their websites, this should be something to worry about. The frontal view is important for see how the nose looks from a 3 dimensional aspect. The frontal view is all about shadows and will tell you what the nose will really look like. IT is the hardest view to achieve the best results and the best before and after photos. 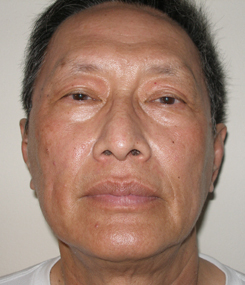 This is a frontal view of a patient that had a rhinoplasty to narrow the tip and the nostril area. Notice that she is now wearing shorter hair. You have to have confidence to wear short hair. She is really happy with her rhinoplasty results. Here is a before and after a revision rhinoplasty for a person who had an implant extrude from her nose that was placed in Korea. She was super happy with her result! 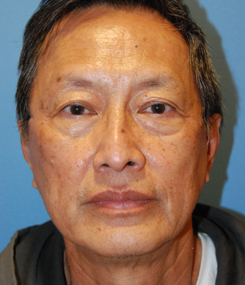 This patient is featured in our Asian cosmetic surgery page as well. My fold is too low after Asian Eyelid Surgery and would like it higher? Can this be done? My previous surgeon said that there is not enough skin to do that. My fold is too low after Asian Eyelid Surgery and would like it higher? CAn this be done? My previous surgeon said that there is not enough skin to do that a discussion by Dr. Philip Young: Yes you can increase the height of the crease after Asian Eyelid Crease Surgery. It will entail setting the crease higher with a higher incision. The drawback in this situation is that you may have two incisions that could be exposed if you don’t have enough skin. It is likely that your crease is high enough and that all you need is more skin taken out. This is much simpler to do. The options are there for you. I think non incision techniques that the others are advocating is harder to achieve symmetry and long lasting results and you may need to get more surgery in the future to correct that approach. 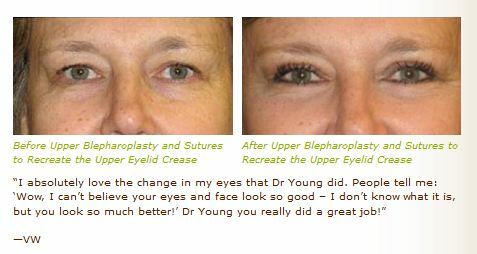 Below is a picture from our Asian Double Eyelid Procedure Webpage that discusses more details on this procedure. Posted in Asian Cosmetic Surgery, Asian Double Eyelid Surgery / Asian Eyelid Surgery, Blepharoplasty / Eyelift / Eye Lift / Dark Circles / Eye Bags | Comments Off on My fold is too low after Asian Eyelid Surgery and would like it higher? Can this be done? My previous surgeon said that there is not enough skin to do that. Asian rhinoplasty for a hump and an area that could use an implant. How to make it harmonious with my forehead. Asian rhinoplasty for a hump and an area that could use an implant. How to make it harmonious with my forehead Dr. Philip Young. Asian rhinoplasty is a unique procedure all in itself within the realm of Asian Cosmetic Surgery. You have a bridge which is not as common as an Asian person that needs a bridge. You also need a bridge above the hump area. Ultimately, you should have this discussion with your doctor so he can tailor a procedure for you. What this is probably going to entail is reduction of the hump area and an addition of a graft above it. Alternatively, you could just need augmentation to camouflage the hump. There is a way to avoid making your nose bridge look weird after augmentation. There are standards for the Asian nose. typically the nose bridge starts below that of a Caucasian. Although I think that, in all races, there is an ideal to where the nasal bridge starts. A Caucasian nose normally starts at the eyelid crease or eyelid margin or somewhere between the two points. I have theory on beauty that has helped me decide exactly where the nasal bridge should start. 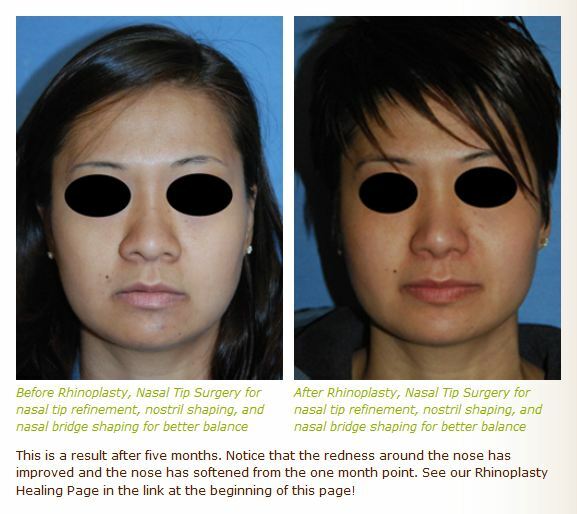 I have a unique techinque with Asian Rhinoplasty that you can read about on my website. 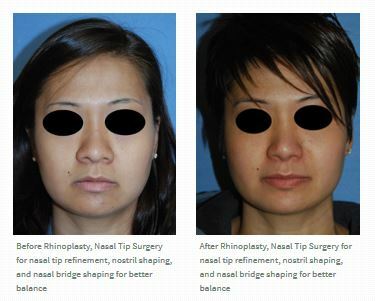 Posted in Asian Cosmetic Surgery, Rhinoplasty / Nose Surgery / Nose job / Nose Reshaping / Nasal Reshaping | Comments Off on Asian rhinoplasty for a hump and an area that could use an implant. How to make it harmonious with my forehead.